Background/Purpose: We previously identified higher disease activity score assessing 28 joints (DAS28) at baseline, current smoking and no alcohol consumption as clinical predictors for inadequate response (IR) to a methotrexate (MTX) strategy.1 In addition, we showed the potential of protein biomarkers to improve the prediction of clinical response in patients likely to show IR to MTX.2 In this analysis, we aimed to validate predictive protein biomarkers with additive value to the clinical predictors mentioned above in predicting IR to MTX. Methods: Data was used from patients initiating MTX therapy in the U-Act-Early trial for developing the prediction model.3 If remission (DAS28) <2.6 with ≤4 swollen joints for ≥24 weeks) was not achieved, hydroxychloroquine was added and thereafter replaced by tocilizumab if remission still was not achieved. Serum was collected at baseline and analyzed using multi-analyte (n=85) profiling; relevant proteins were identified using partial least square discriminant analyses. Data of patients treated with MTX plus glucocorticoid (GC) in the Rotterdam Early Arthritis Cohort trial were used for validation.4 These patients switched to MTX plus etanercept, if remission (DAS44 <2.4) was not achieved. IR to MTX was defined for both studies as the need of adding a biological DMARD within the first year to MTX, including additional conventional synthetic disease modifying anti-rheumatic drug (csDMARD) or GC therapy (here designated as ‘MTX+’). Results: None of the potentially relevant proteins (n=7) in the development sample were found to be significant (IR vs. no IR) in the validation sample. Although not statistically significant, the best performing biomarker was vascular cell adhesion protein 1 (VCAM-1, odds ratio (OR) 1.36, 95%-confidence interval (CI), 0.84-2.32; p=0.19), and was further investigated. In the development sample, the area under the receiver operator characteristics curve (AUROC) of the combined model (i.e. clinical predictors plus VCAM-1) was 0.80 (95%-CI 0.71-0.88): no significantly improved discriminative ability compared to clinical model (AUROC 0.75, 95%-CI 0.65-0.84; p=0.051). When applying the linear predictor to the validation sample, an AUROC of 0.67 (95%-CI 0.55-0.80) was found for the combined model: neither significantly different from clinical model (AUROC 0.68, 95%-CI 0.55-0.80). Conclusion: No protein biomarkers with additive value to clinical predictors for predicting IR to ‘MTX+’ in new-onset RA could be externally validated. The relatively easily obtainable clinical predictors still remain the most accurate factors to predict the need for adding a biologic DMARD to the initial MTX-based treatment strategy. 2. Teitsma XM, et al. Ann Rheum Dis 2016;75 (Suppl 2):440. 3. Bijlsma JWJ, et al. Lancet 2016 23;388(10042):343-355. 4. de Jong PH, et al. Ann Rheum Dis 2014;73(7):1331-1339. Disclosure: X. M. Teitsma, None; J. W. G. Jacobs, None; P. H. de Jong, None; J. Hazes, None; A. E. Weel, None; P. M. Welsing, None; A. Pethö-Schramm, F Hoffmann-La Roche, 3; M. E. Borm, Roche Nederland BV, 3; J. van Laar, Arthrogen, MSD, Pfizer, Eli Lelly, BMS, Astra Zeneca, Roche-Genentech, 2, 5; J. W. J. Bijlsma, Roche, AbbVie, Bristol-Myers, Squibb, Merck Sharp and Dohme, Pfizer, UCB, 2, 5; F. P. Lafeber, None. Teitsma XM, Jacobs JWG, de Jong PH, Hazes J, Weel AE, Welsing PM, Pethö-Schramm A, Borm ME, van Laar J, Bijlsma JWJ, Lafeber FP. Predicting Response to Methotrexate Therapy in New-Onset RA: No Value of Adding Protein Biomarkers to Clinical Predictors [abstract]. Arthritis Rheumatol. 2018; 70 (suppl 10). 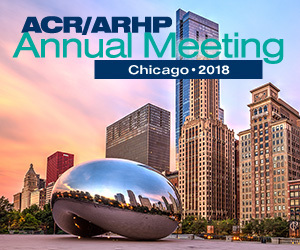 https://acrabstracts.org/abstract/predicting-response-to-methotrexate-therapy-in-new-onset-ra-no-value-of-adding-protein-biomarkers-to-clinical-predictors/. Accessed April 19, 2019.